You don’t have to be a member of the Gulf Coast’s small but committed surf culture to develop the condition popularly known as surfer’s eye, but clinically known as pterygium. Anyone who spends a lot of time outdoors, especially anyone who also fails to protect their eyes from the sun, is vulnerable to pterygia. Fortunately, at EyeCare 20/20, we offer pterygium treatment to those who wish to rid themselves of this annoying, conspicuous growth. Our team of talented eye care professionals is pleased to offer pterygium treatment of the highest quality at our Mandeville, LA practice. Although a pterygium is generally not cause for concern in and of itself, many patients wish to eliminate pterygia for cosmetic reasons. If left untreated, a pterygium can eventually affect a person’s vision, as well. If you have a pterygium and would like to have it evaluated, we encourage you to schedule your initial consultation with one of our esteemed eye doctors at EyeCare 20/20 today. A pterygium is an abnormal growth that usually appears in the corner of the eye nearest to the nose. Most pterygia are pink, in stark contrast to the whites of the eyes on which they appear. A pterygium can appear on just one eye or on both eyes simultaneously. The growth is often wedge-like, looking similar to a slice of pie. While pterygia are benign growths and therefore pose no overall health threat, they can continue to grow over the course of a person’s lifetime. When this happens, they sometimes end up extending to the pupil and onto the cornea. At this point, they cause vision problems and must be treated. Although the exact causes of pterygia are unknown, they seem to be mostly environmental. 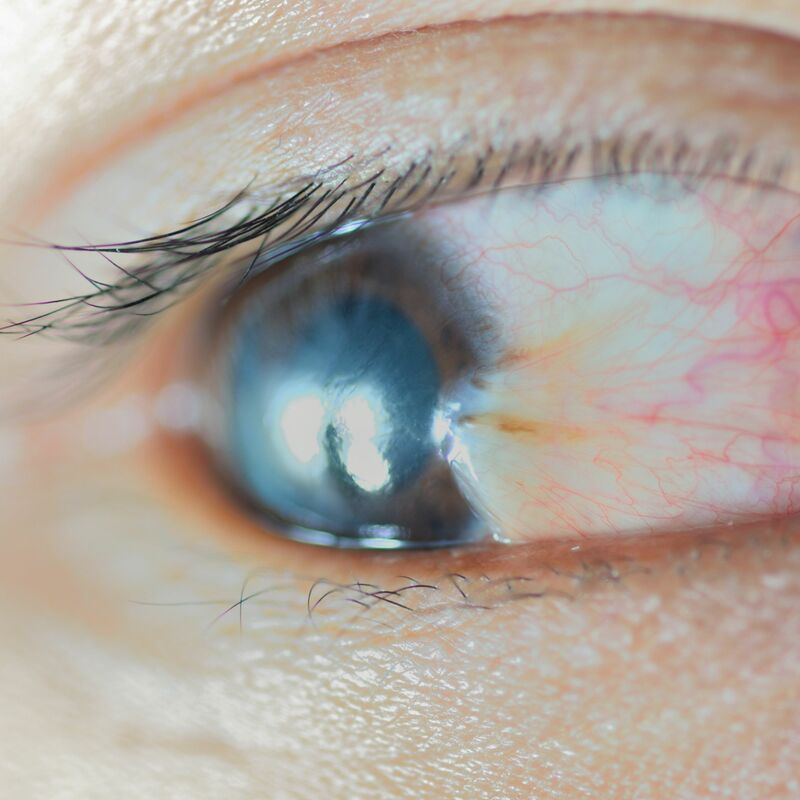 Prolonged exposure to dust, wind, ultraviolet light, and dry climates, and other harsh environments is linked to an increased risk of pterygium. Smoking and having light skin and light eyes also seem to be risk factors when combined with spending a lot of time outdoors. If the pterygium is not conspicuous or producing any adverse symptoms, then there is really no need for a person to seek treatment. Lubricating eye drops may be used to treat any slight, occasional discomfort or redness. However, if symptoms such as frequent burning, irritation, or pain are present or become persistent, treatment may be necessary. Our team of eye care professionals initially employs a conservative approach to treating pterygia, prescribing eye drops that contain corticosteroids to reduce inflammation and increase comfort. In cases in which pterygia are interfering with vision, surgery may be necessary to remove the abnormal growths from the eyes. Surgery may also be advisable for those patients with visible pterygia who wish to have them removed for aesthetic reasons. To learn more about pterygium treatment, or to schedule your initial consultation with one of our eye doctors, please contact EyeCare 20/20 today.